MAFF Health and Nutrition Promotion Program. Joint program by Food Division, MAFF, Health Promotion Unit & MOH. This morning the Ministry of Agriculture hosts a ceremony in Recognition of Health Promotion Screening Program of Jan – Nov, 2018. Dr. Kami is going to attend the 5th Steering Committee meeting for the International Year of Plant Health 2020 in Rome,Italy. This meeting purpose is to increase and improvements in trade of agricultural produce, agricultural production, improving economy. According to Dr. Kami this 5th meeting will be focused on planning activities internationally, regionally and nationally for the YEAR for PLANT HEALTH 2020. 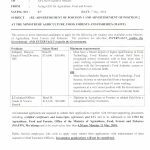 This travel will be fully funded by IPPC Secretariat and it will start from the 14th to the 15th of February 2019. While Dr.Kami absence the Deputy OIC of Quarantine and Quality Management Division will be in charge. 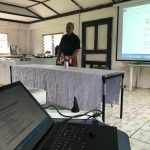 Dr.Kami and Mr.Sione Foliaki attended the ACIAR end of project HORT: 2010-065 review and ICM-2 Project Advisory Group (PAG) meeting which was held in Suva, Fiji from the 14th to the 18th of January. 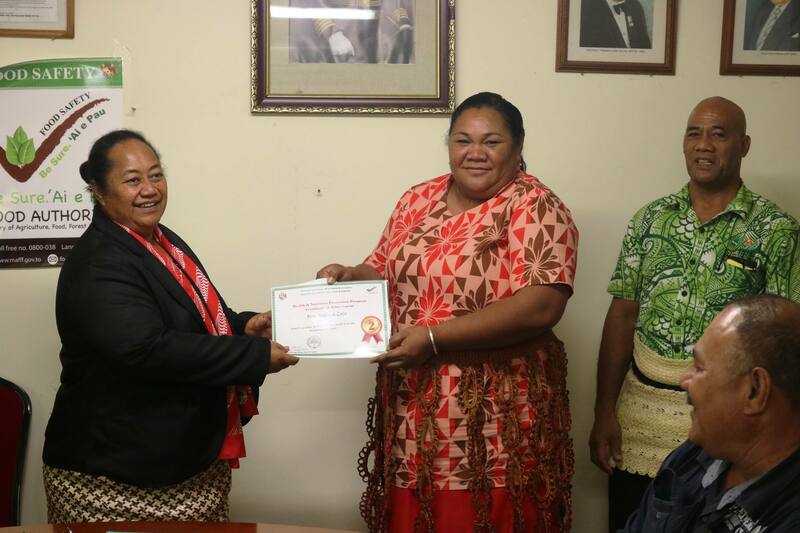 These projects are on the management pests and diseases the utilization of plant clinics on agricultural crops plus identifying the emerging threats to Tonga in terms of pests and diseases and provide strategic response plans. This meeting was fully funded by ACIAR. 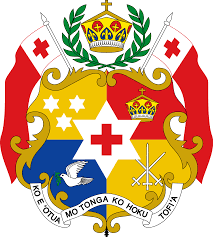 Ko ho’o folau kotoa pe ki Nu’usila mo ha fa’ahinga me’atokoni kuo pau ke ke ‘ave ia kimu’a ho’o folau, ke vakai ki ai e kau ‘Inisipekita ‘a e Potungaue MAFF moe MoF‘a Tonga, ke fakapapau’i ‘oku ke fa’o pe ‘a e ngaahi me’a kuo fakangofua ke ke folau mo ia. 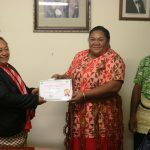 ‘E vave ange ai ngaue ‘a e kau ‘Inisipekita ‘ae Potungaue Biosecurity ‘a Nu’usila mo ho’o hu kitu’a mei he mala’evakapuna. Ko e ha ‘a e ngaahi me‘a ‘oku fakangofua? ‘Ave ho’o puha me’atokoni ke sivi ‘e he kau ngaue ‘a e MAFF pe MoF kimu’a ‘i ho’o mavahe mei he mala’e vakapuna Fua’amotu. Kapau ‘e fakangofua ‘a e me’atokoni, ‘e sila’i ‘e he kau ngaue ‘a e MAFF pe koe MoF ‘a ho’o puha me’atokoni ‘aki ha sitika faka’ataa (compliance sticker). Oku ‘uhinga ia he ‘ikai toe fiema’u ke fakahoko ha sivi ho’o puha me’atokoni kuo sila’i ‘i ho’o tu’uta ki Nu’usila. 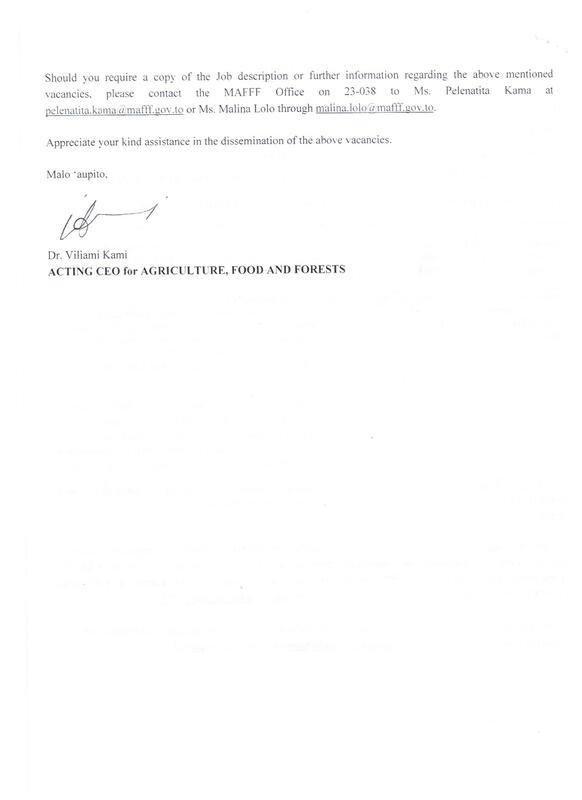 Kapau ko e me’atokoni ‘oku ‘ikai kau he ngaahi me’a kuo ‘osi fakangofua, e ala lava ke ‘oatu ‘e he MAFF ha la’i tohi (Phytosanitary Certificate) ke fakapapau’i oku hao mei ha mahaki, inisekite, pea mo ma’a foki. Ko e ngaahi me’a ko ‘eni e kei fiema’u ke fai hano sivi ‘e he kau Inisipekita Biosecurity ‘i Nu’usila. 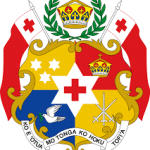 *Fakatokanga‘i ange – ‘E kei filifili pe ‘e he Biosecurity New Zealand ha ngaahi puha me’atokoni kuo’osi sila’i’aki ‘a e sitika (compliance sticker) o fai hano sivi ko e konga pe ia ‘enau ngaue ki he malu ‘a e fonua. ‘E ala ‘eke ‘e he MAFFF ha totongi ki he siví, kātaki ‘o vakai‘i ‘eni meí he ngaahi potungāue ma‘umafai ‘i Tongá. Ko e ha ‘a e ngaahi me‘a ‘oku ‘ikai fakangofua? Feo (coral), vāsuva (clam), kele‘a (queen conch), tu‘a‘ifonu tahi pe ‘uta, tokanoa (giant clam) pea mo e kakano‘i fonu. MoF : Sopu, Vuna Rd, Nuku’alofa. The Theme for world food day 2018 is ”OUR ACTION ARE OUR FUTURE. A ZERO HUNGER WORLD BY 2030 IS POSSIBLE” World food day is celebrated every year on the 16th of October to commemorate the founding of FAO in 1945. This world food day marks the 73rd anniversary of FAO’s founding. Tonga is joining more than 150 countries across the world in support of the FAO’s mission to use the world food day events to raise awareness and to gather greater support and understanding to promote worldwide awareness and action for those who suffer from hunger and for the need to ensure food security and nutritious diets for all. 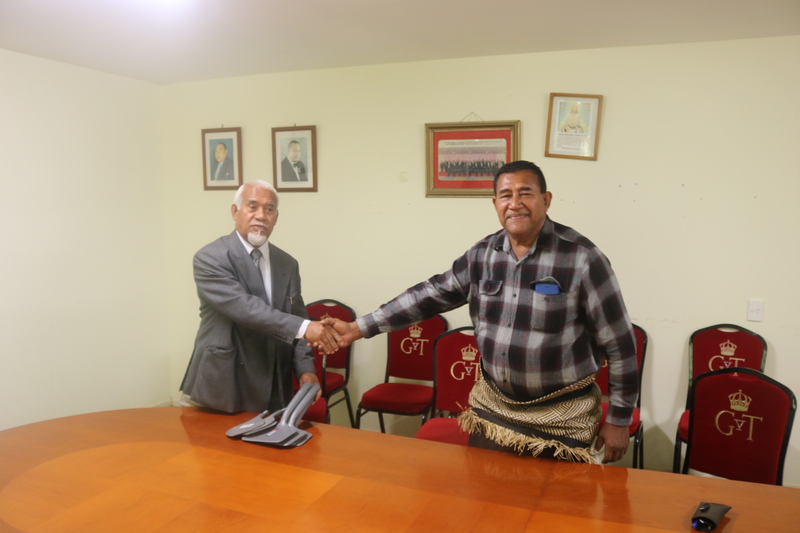 Memorandum of Understanding was signed on October 4 in Nuku’alofa, Memorandum of Understanding (MOU) between the New Zealand Government, Ministry For Primary Industries and The Tonga Government, Ministry of Agriculture, Food, Forests and Fisheries. The purpose of this Memorandum of Understanding (MOU) is to acknowledge the intention of MPI, MAFF and MoF to explore opportunities for cooperation and working more closely to manage biosecurity risks at New Zealand’s border. The Royal Agricultural, Fisheries, Tourism and Trade show is a national event for Tonga which brings together farmers, fisherman, women and handicrafts, local businesses and Tourism sector. It is also significant as this is a great opportunity for the people to meet their majesties during their visits on this occasion. 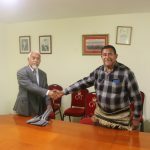 The Royal Agricultural, Fisheries, Tourism and Trade show 2018 first started from Ha’apai on the 23rd June 2018. The rest of the other island followed using this schedule Vava’u 13th July 2018, Niuatoputapu 18th July 2018, Niuafo’ou 19th July 2018, ‘Eua 25th July 2018 and finally Tongatapu 28th July 2018.The theme for this year royal agricultural show was “Kina Umu Tali ki Tahi”. This event is vital to the nation as this is one of the ways to perceive the status of food security, economic performance and tourism capacity of Tonga. The stakeholders who were involved in this event getting a handshake and a visit from King Tupou VI. That is a big pat on back comforting all the difficulties encountered along with a great energy received for the continuation of their great effort hard work. There were two categories for the Royal Agricultural show events and they were the prejudge and field competition. The prejudge competitions were assessed before the agricultural show day. The prejudge competition comprises of twelve classes. This includes competition for best tax allotments, root crops, fruit trees, vegetables, commercial crops, livestock, ornamental and cultural plants, villages, new crops, fisheries, special prizes and shelters. A total of 97 items from 11 classes of events available for farmers to registered for prejudge competition. A total of 191 registered items for prejudge events. The other competition for the agricultural show was the field events. This event is why farmers and women bring in the crops, seedlings, livestock and handicrafts to the show ground and hence the fundamental base for the agricultural show happening. The competition for the agricultural show in this category was mainly focused on the diversification of agricultural products such as the biggest and most variety of yam available. One of the highlights for this year agricultural show was,the acknowledgement of two farmers who were over 80 years of age and also one farmer who has demonstrated in Tonga the Thailand model farming system, a system that was highly endorsed by his Majesty. The Hihifo district officer, Sione Manumanu happily received aid for local farmers of Atata island. 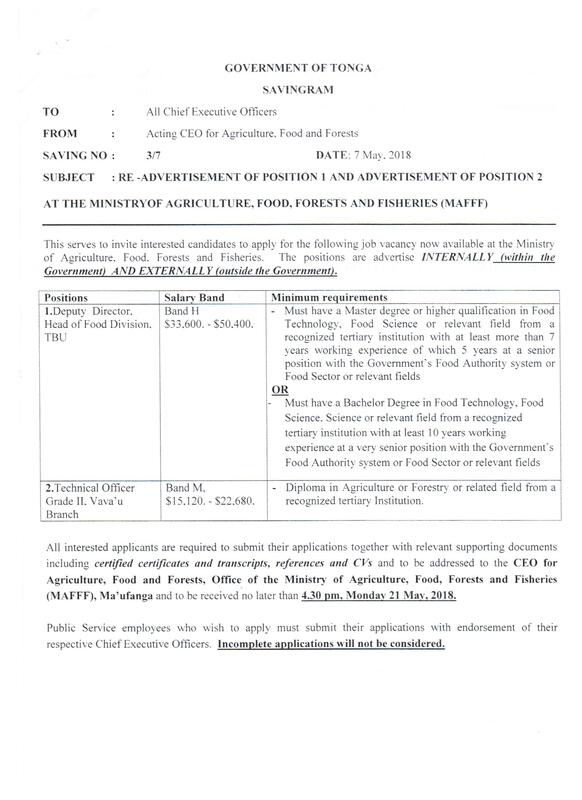 The Minister for Agriculture, Food and Forests Hon. 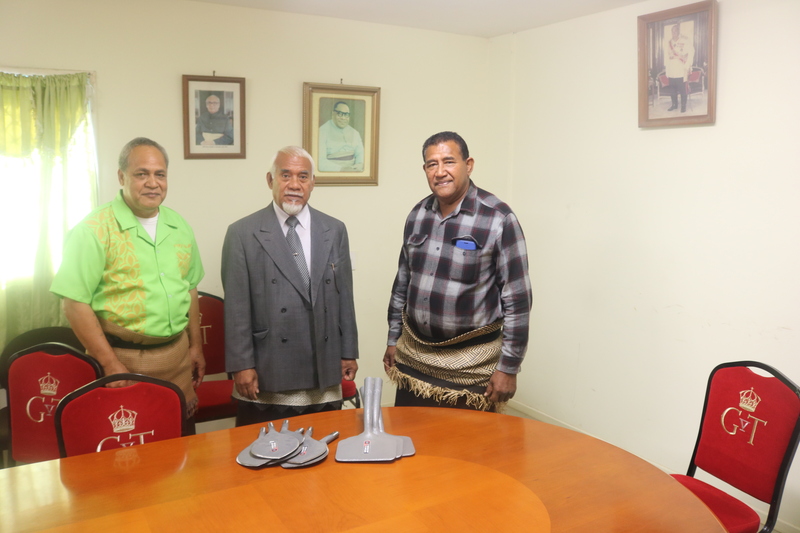 Semisi Tauelangi Fakahau represent the Ministry by giving those farming tools to Sione Manumanu on behalf of Atata islands local farmers. The purpose of this is to support the farmers in the island for plantation and other use for this tools in a reason they don’t have a tractor for ploughing. 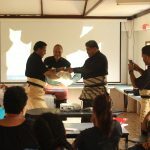 The Minister of Agriculture, Food, Forests and Fisheries, The Honourable Semisi Tauelangi Fakahau opened two days workshop under the theme of “POLICY SETTING FOR IMPROVED LINKAGES FOR AGRICULTURE & FISHERIES AND TOURISM: STRENGTHENING THE LOCAL AGRI-FISH FOOD SECTOR AND PROMOTING AGRI-FISH TOURISM at Tanoa on 7th August 2018. Tourism has the potential to stimulate demand in the agriculture and fisheries sectors, promote healthy and nutritious food and strengthen the use of local products, so it is important to create linkages between the threes sectors, and to develop a policy on agri-fish tourism. In addition to the strong economic value of developing a sustainable tourism sector, enhancing the linkages between tourism and agriculture and fisheries represents an important potential mechanism to stimulate and along the chain as well as generate investments incentives for local production. Linkage between agriculture, fisheries, health and tourism not only potentially increase opportunities for domestic agriculture and fisheries earnings, new markets and product development and therefore sustainable economic growth, but also offer opportunities to help develop visitor attractions and distinctive tourism destination brands through the creative use and marketing of local produce and production techniques, and use of local landscapes. In order to acquire these benefits, the tourism industry industry needs to be proactive in utilizing local, high quality healthy and niche agricultural and marine-based products in touristic sites and events. The Minister for MAFFF Hon. Semisi Tauelangi Fakahau received a donation of 4 tractors and 50 chainsaw from the Amabasdor of China to Tonga his excellency Wang Baodong. H.E Baodong said, China is very happy to help in pushing the social and economic development of agriculture in Tonga. He also mentioned that there will be more donation in the nearest future. Minister for MAFFF expressed his appreciation on behalf of the Government of Tonga for China’s ongoing support. 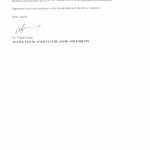 According to the Minister of MAFFF this donation will help the Ministry in building the agriculture sector especially from the damaged caused by Cyclone Gita. 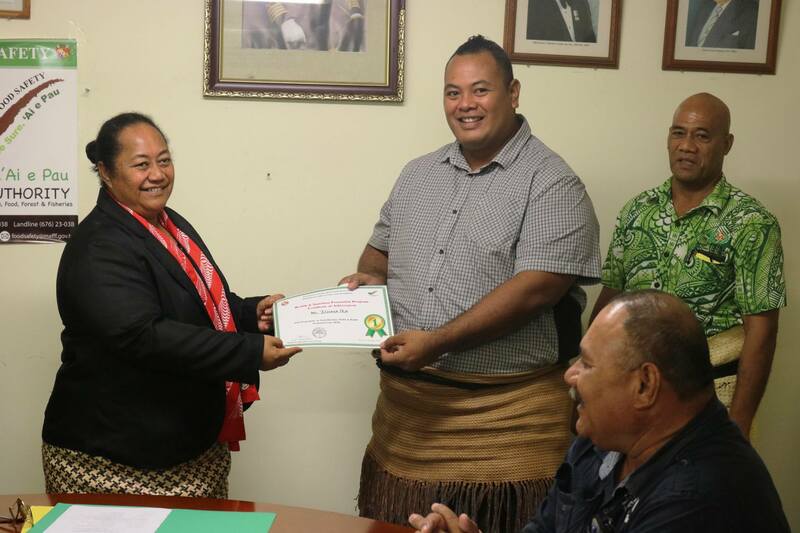 Over 200,000 tomato and capsicum seeds were handed over to the Ministry of Agriculture, Forestry and Fisheries (MAFFF) Tonga to help Tongan farmers rehabilitate crops after Cyclone Gita. The seeds were made available from a new seedbank that was established at Hango Agriculture College, Eua, Tonga six months ago through support by the European Union and SPCs Agriculture Policy Program. 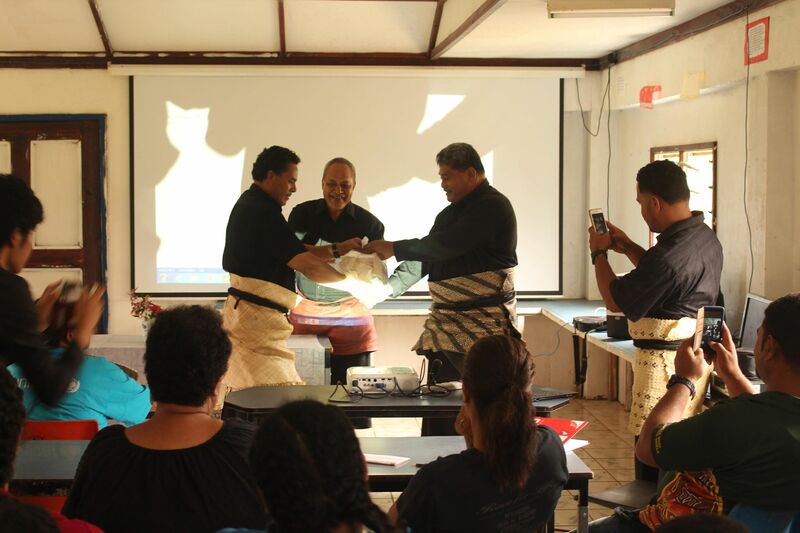 Accepting the seeds in a handover ceremony on Eua this week, Mr Imanuela Moale, Director MAFFF thanked the College, SPC and the EU for making these seeds available. He stated that access to seeds was very critical to enable farmers to get back on their feet and that this handover was very timely. He congratulated the vision of the College for embarking on the seedbank venture and for assisting the Government and national recovery efforts. The seeds were only harvested from the seedbank in the months leading up to the Cyclone. 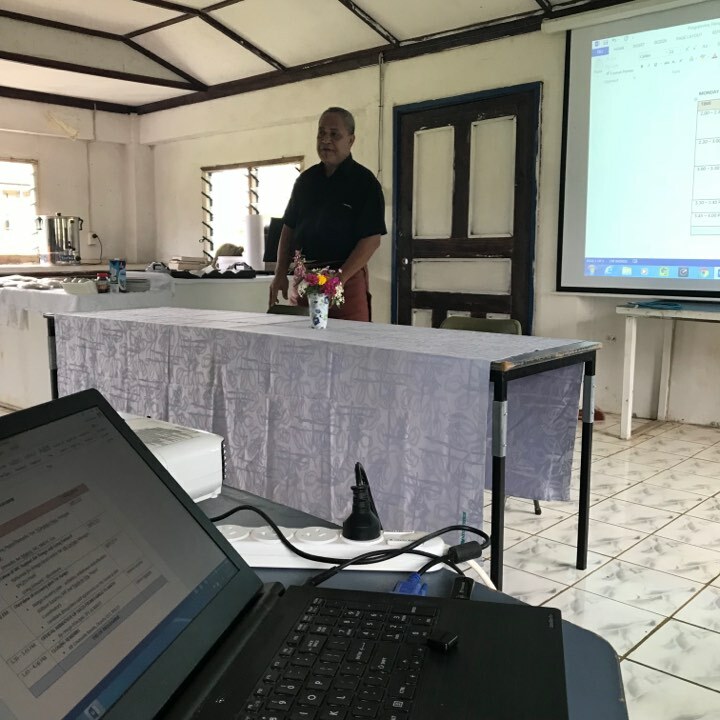 Mr Vili Caniogo, Adviser SPC Agriculture Policy Program stated that a systematic harvesting program and training on the seedbank proved to be fortuitous given the Cyclone. He stated that the College and the SPC team established the seedbank only in the last eight months with phased harvest timelines, which enabled this batch of seeds to made available. “Hango has quickly adopted this systematic programming which fortuitously has made these seeds available at this time of urgent need. A key intention of the seedbank at the start was always to complement Government seed services and as such, Hango College has done extremely well”. 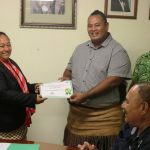 The Principal of Hango Agriculture College, Reverend Finau stated that College had a vision to excel in providing agricultural services and education for Tonga’s youths in line with national development goals. He stated that the College was happy to directly assist farmers and the Government. Over the next few months, Hango will be itself rehabilitating its crops and farms with SPC, FAO, MAFFF and other partners.